Navjot Singh Sidhu quits BJP,likely to join AAP ? 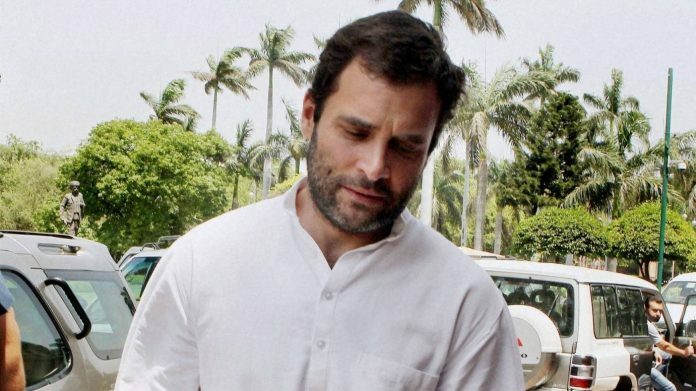 The Congress VP Rahul in May 2015 was moved to court in the RSS defamation case. The case would have closed last year in the month of November when the court suggested Mr Gandhi to apologise the Rashtriya Swayamsevak Sangh to settle the case. But he refused to do so and instead the leader’s counsel, senior advocate Harin Raval said that they would like to continue the fight in court by stating that the head did not refer to RSS directly. “We have held it may be historically correct but the factor the statement has to meet the test of the public good. You can’t make collective denunciation,” said the Supreme Court bench. “What we have to see is the petitioner’s allegations come under Section 499 (defamation) of IPC or not. Judgement is already there. You have to face trial if you don’t express regret,” added SC bench. Mr Gandhi requested the court for postponement of hearing as his lawyer, and senior Congress leader Kapil Sibal will be unavailable for the coming two weeks. The court said any other lawyer could proceed and called the hearing for July 27 with a warning that no further postponement will be entertained.